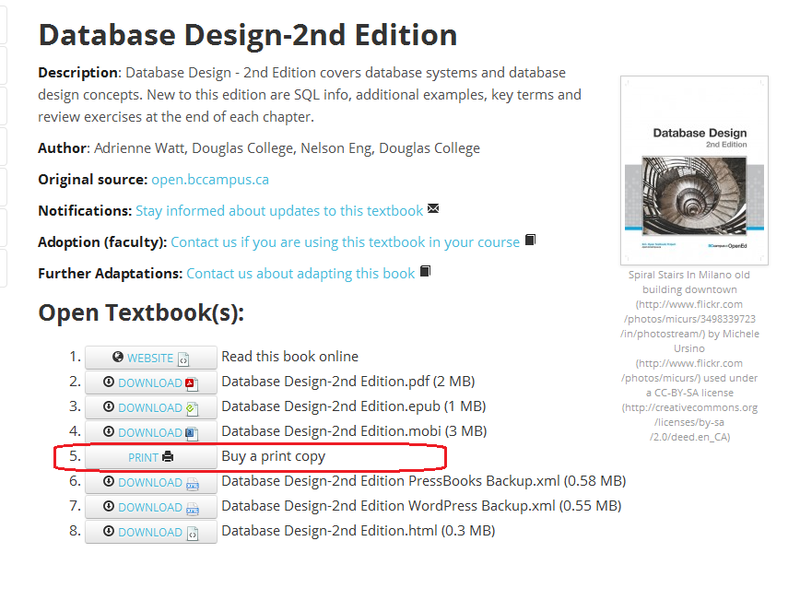 To order a print copy of the textbook, go to the textbook page in the B.C. Open Textbook collection. In the available formats you will see a button and a link that says “Buy a print copy”. 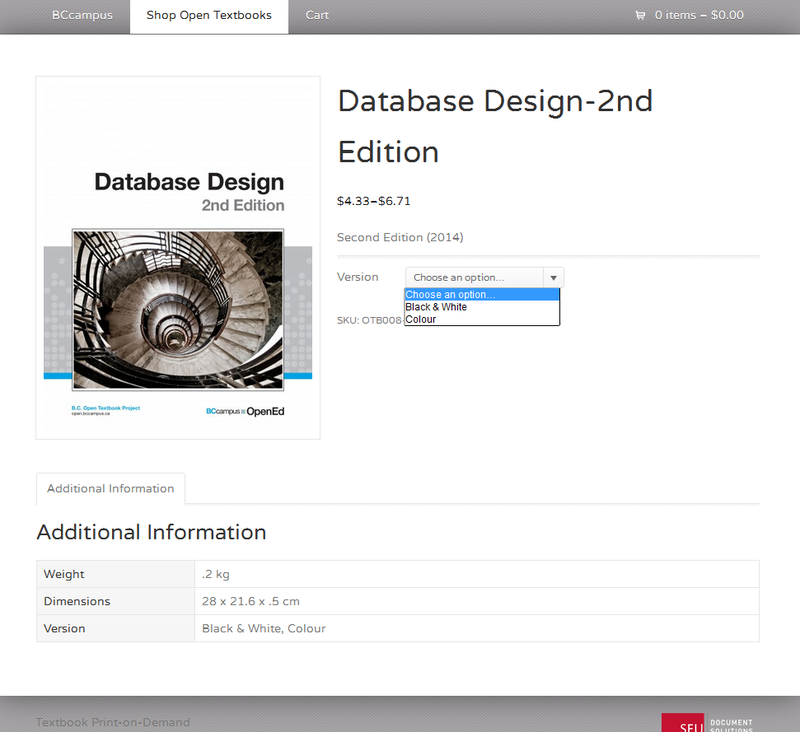 Here is an example from the Database Design-2nd Edition book in our collection. Clicking the “Buy a print copy” link will take you to the book order site at Simon Fraser University. From here, choose whether you wish to purchase a colour or black and white version of the textbook in the “Choose an option” drop down. From there, follow the prompts to fulfill your book order. The book will be shipped directly to you. How to Order by BCcampus is licensed under a Creative Commons Attribution 4.0 International License, except where otherwise noted.